The Eel River in Northern California is the third largest river in the state. Along its banks stand the largest remaining redwood groves in the world. They are preserved within Humboldt Redwoods State Park. Created in 1921 with the purchase of Bolling Grove near Myers Flat by the Save the Redwoods League, the park currently preserves 53,000 acres of forestland. Within the park are structures built by the Civilian Conservation Corps in the 1930s and a monolithic four-fireplace structure designed by Julia Morgan. The park also encompasses many small towns. 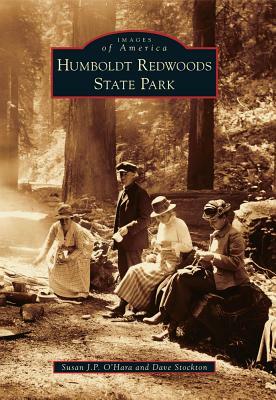 The settlement of these towns is included in this pictorial history of Humboldt Redwoods State Park. Additionally, steps taken to preserve the redwoods are documented. Finally, floods along the river that have shaped the environment and influenced the growth of the park are also featured.